Keep your business at a comfortable temperature during the winter with services from P&H Co. By turning to our company, you can take advantage of our reliable plumbing and heating services. Whether you need a heating system replaced or an emergency plumbing repair completed, we have you covered. Contact us in Juneau, Alaska, for more details. When you're looking for professionals to complete your heating installation, you've come to the right place. Our team has the skills to tackle the job for you. Before we start your work, we first provide you with an estimate for your project. To calculate the right price, we come to your location to find out which system should be installed or what needs to be done to complete a repair. We then give you our bid. 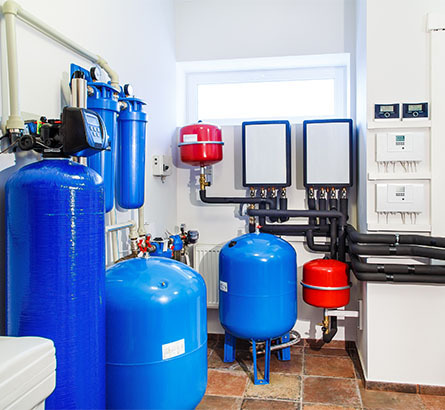 In addition to installations, we also specialize in repairing and maintaining heating and plumbing systems. You can save by prepaying for routine maintenance of your equipment with a yearly planned contract. By entering into a contract with us, you save 10% off our routine and emergency maintenance prices. This way you can keep your costs down. After we've completed your heating or plumbing project, we give you a 2-year warranty for our products. For repair jobs, you are provided with a 1-year warranty that covers all parts and labor.